Aerogels are a class of materials that exhibit the lowest density, thermal conductivity, refractive index and sound velocity of any bulk solid. Aerogels are among the most versatile materials available for technical applications due to their many exceptional properties. The new form of diamond, the diamond aerogel, has a very low density similar to that of the precursor of around 40 milligrams per cubic centimeter, which is only about 40 times denser than air. When it comes to light weight materials, the first thing that comes to our mind is Thermocol. Since its discovery in the year 1941, it has been used in many applications that are suitable for the common man like small life raft, disposable coffee cups, cushioning material in packaging, and so on. Since then, the weights of most light weight materials are compared to Thermocol, and have been given a special category called Ultra-light materials. A team of researchers from HRL Laboratories (Hughes Research Laboratories), in collaboration with Caltech and the University of California, developed a new material that weighs only 1/100th of the weight of Thermocol. 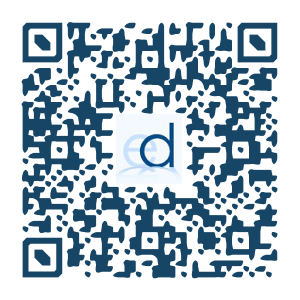 The material is also known o be lighter than a diamond aerogel, one of the best ultra-light materials in the world. Before going into detail about the lightest material, let us make a brief study about diamond aerogels. Diamond aerogel was discovered by researchers at the Lawrence Rivermore National Laboratory by combining high density diamond substances and least dense materials called aerogels. 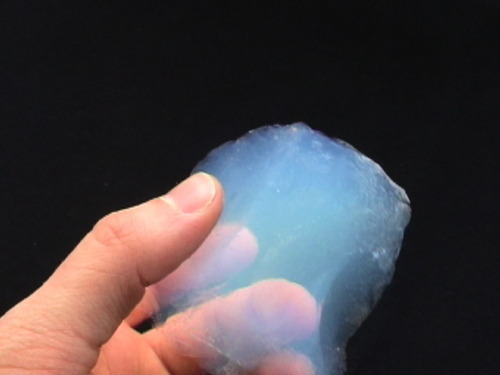 Aerogel is known to be a porous, diffuse rigid material that looks similar to a solid block of smoke and with the texture of a chunk of thermocol. They are industrially manufactured by constructing a conventional gel and then removing the liquid though supercritical drying. The material finds various applications in the making of insulate space suits, pick up cosmic particles, and even home insulation. The combination of both the materials gave birth to a spongy, translucent version of a diamond. This material when tested was found out to be the least dense diamond ever, and thus the most expensive aerogel ever. They called it a diamond aerogel, definitely the least dense diamond ever and perhaps one of the most valuable aerogels ever. The material was found to be a little denser than air and has all the physical capabilities of a non-liquid gel component. This material also found many applications in the field of structural engineering, optical engineering, and quantum computing and so on. By combining high pressure with high temperature, Livermore researchers have created a nanocyrstalline diamond aerogel that could improve the optics for something as big as a telescope or as small as the lenses in eyeglasses. Aerogels are a class of materials that exhibit the lowest density, thermal conductivity, refractive index and sound velocity of any bulk solid. Aerogels are among the most versatile materials available for technical applications due to their many exceptional properties. This material has chemists, physicists, astronomers, and materials scientists utilizing its properties in myriad applications, from a water purifier for desalinizing seawater to installation on a NASA satellite as a meteorite particle collector. In new research appearing in the May 9-13 online edition of the Proceedings of the National Academy of Sciences, a Livermore team created a diamond aerogel from a standard carbon-based aerogel precursor using a laser-heated diamond anvil cell. A diamond anvil cell consists of two opposing diamonds with the sample compressed between them. It can compress a small piece of material (tens of micrometers or smaller) to extreme pressures, which can exceed 3 million atmospheres. The device has been used to recreate the pressure existing deep inside planets, creating materials and phases not observed under normal conditions. Since diamonds are transparent, intense laser light also can be focused onto the sample to simultaneously heat it to thousands of degrees. The aerogel is only 40 times as dense as air. Someday, it may coat the windows, the TV, and the inside of a person's body. There are plenty of things out there that are shiny, but diamonds have occupied an enduring place in cultural history. At first this was because they were hard. Although it's easy to destroy other gemstones, diamonds are tougher to demolish, don't tarnish, and so can be worn with greater regularity than other jewelry. The particular hardness of diamonds also had industrial uses. Artificial diamonds helped drill bits and saw blades move through materials faster. Upon more study, scientists discovered new characteristics of diamonds - including the fact that they, like water, grow less dense when they freeze. This means that diamond oceans (such as those that might exist on Neptune) could have diamond icebergs floating in them. To make a diamond aerogel, a carbon aerogel is constructed, and any spaces in the gel are pumped full of neon gas. The gas supports the structure and keeps it from collapsing when the scientists hit the carbon structure with everything they've got. The aerogel is compressed in a diamond-lined cell while being heated with high-intensity lasers. The combination of the heat and pressure change the pliable carbon to diamond, while keeping the structure. This gel can be molded like plastic, is completely transparent, and is made up of diamonds smaller than a quarter of the wavelength of violet light. Because it doesn't react with many elements, it's biocompatible. This diamond matrix can be used to coat structures in the human body. Because it's transparent, it can be overlaid onto glass or clear plastic, creating tough but well-insulated windows and instruments for spacecraft. Because diamonds give off electrons, it can be used in ultra-light, ultra-tough quantum computers. The lately found ultra-light material has a density of 0.9 mg/cc, and is known to have its own unique kind of “micro-lattice” cellular architecture. The researchers were successful in making a material that consists of 99.99% open volume by designing the 0.01% solid at the nanometer, micron and millimetre scales. The material was developed for DARPA so that it could be used for applications in battery electrodes, catalyst supports, vibration or shock energy damping applications and so on. The material has shown excellent mechanical behaviour for a metal, including complete recovery from compression exceeding 50% strain and extraordinarily high energy absorption, when compared to its compact architecture. This discovery has led the researchers to bring in more ideas to revolutionalize lightweight materials by using this concept to the materials level and designing their architectures at the nano scale.